Foster's Place, an accessible playground, was recently constructed in Georgetown with the help of The Arc in Jefferson County. 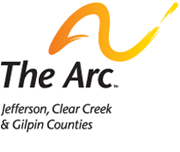 The Arc acted as the 501-(c)-(3) organization allowing the project to accept individual donations and foundation funding. 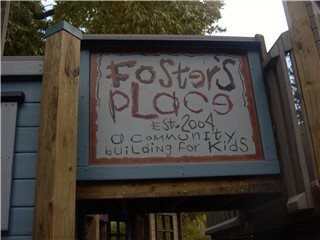 Built in the memory of a local boy who died just short of his third birthday, Foster's Place is one of the most wheelchair-friendly playgrounds in the state. The project was partly funded by a Greater Outdoors Colorado (GOCO) grant and was the Centennial Project for the Rotary Club of Clear Creek 2000. Executive Director Todd Lowther was one of the builder captains on the project and board members John Ratz and Robert Cherryhomes donated many hours during the 5-day build. The playground is located in Georgetown's historic City Park near the bandstand and fountain. More photos in the Friends and Family gallery [Get Involved].